The mother of a stunning little girl with Down Syndrome from Rathcoole has shared her joy at finding out her daughter would become a model for one of Ireland's top fashion companies. Lorraine O'Brien's little girl Lilah Ward is three years old and has become the brand representative for Little Bow Pip, which was set up by Nikki Whelan. Celebrity mums including Samantha Mumba are big fans of the brand, and Lilah has changed her family's lives. "It's not what you sign up for when you have a child, you don't think it could happen to you. When it does happen to you, it's all new. I didn't know anybody who had a child with Down Syndrome, I didn't know any people with it. "I honestly didn't know much about the condition and what it involved. It's fear of the unknown." Lorraine continued: "It's quite common in children with Down Syndrome. We got some support in the hospital but it was very bad, to be honest. They just gave us a leaflet and sent us on our way. "It took myself to do some research on the internet and that's when we found the Down Syndrome Centre, seeing what they gave. When you have a child with Down Syndrome, there's no other real support. "Obviously the hospital supports you with whatever condition that the child has but they don't offer day to day support. She continued: "The Down Syndrome Centre helped us so much, they had courses I could sign up for and things I could see that they offered that I just wasn't able to get elsewhere. "They had a baby massage course and a place where I could talk to other parents with children with Down Syndrome. That's non-existent anywhere else bar their centre. "When you have a typical child, although you have worries they are just not the same worries you have when your child has Down Syndrome. So we had the group of us and we're still friends, we still keep in touch. "It's great that the children have peers, so they can have their own social group. I wouldn't have known any of them if it wasn't for the Down Syndrome Centre. 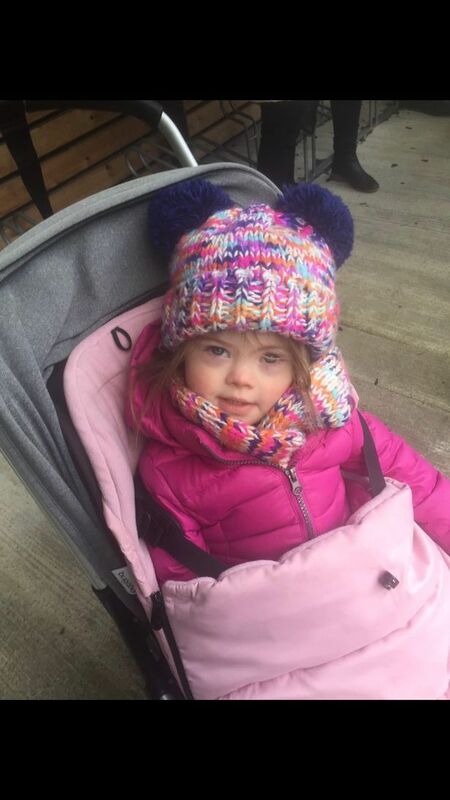 Like I said, I knew no one else with Down Syndrome before Lilah but I've met so many lovely people just through her." 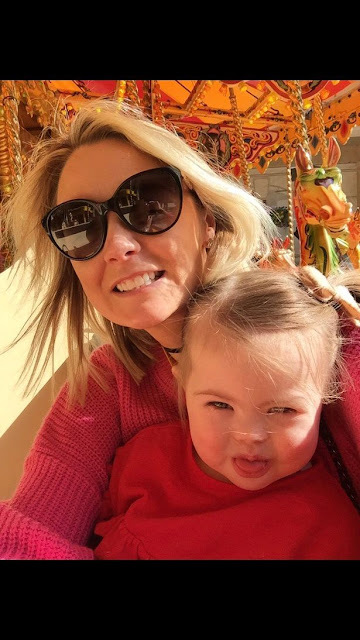 Even though Lorraine and Lilah's dad are loving every moment with their little girl, people were negative when they first told friends they had a child with Down Syndrome. "Unless you have some experience of it or the pleasure of knowing someone with Down Syndrome, you don't know what a joy it is. It wasn't a positive thing in my life when I told someone else. "It wasn't met with happiness, there were some people who said, 'I'm so sorry.' That's what I had to face and at the time that's what I felt. Like I said, it was fear of the unknown. "If I had known then what I know now of what she would be and all the things she can do... it's all about milestones and even though she's delayed, she doesn't walk yet, she is bumbles of personality. "She's so sassy and funny, she's the boss of our house! You don't have to talk in sentences to get your point across with her. She has words and she's clever. "She learns at a slower pace but she learns and she's smart. Every day she surprises me with what she can do and what she knows, I don't even see Down Syndrome when I look at her. "Even though it's a big part of our life, it's very small in other ways. You think it consumes you but it becomes a minor detail, the child takes over." "She's a brand ambassador now. We have our own Instagram page and we used to put up all the bows. Nikki Whelan, who owns the brand, was so good to us. "She gave us free bows and was just so nice, she gave us everything we wanted. Every day we'd have a matching outfit with a matching bow thanks to Nikki. "We were able to do that and it was such a positive influence. 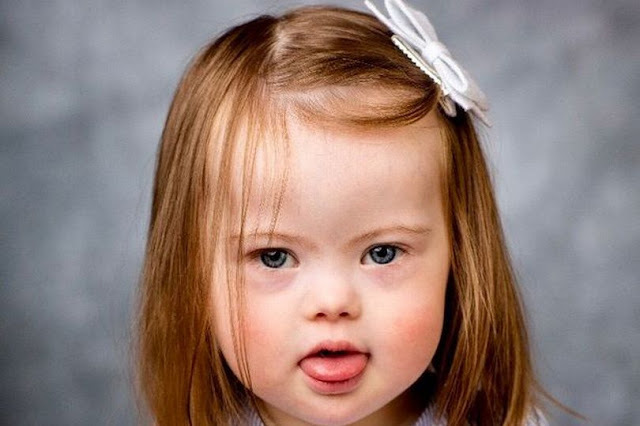 Lilah has Down Syndrome but she's a cute little girl, just like any little girl out there. It was a great experience and it was really positive to have a child represented on a larger scale. "When I first had Lilah, you don't see children with Down Syndrome but it's great that they are being better represented in media. It was a great privilege to represent the Down Syndrome community."